We’ve previously seen VR (virtual reality) platforms that move in response to what’s happening onscreen, making for a more immersive experience. Audi, however, is taking the opposite approach. 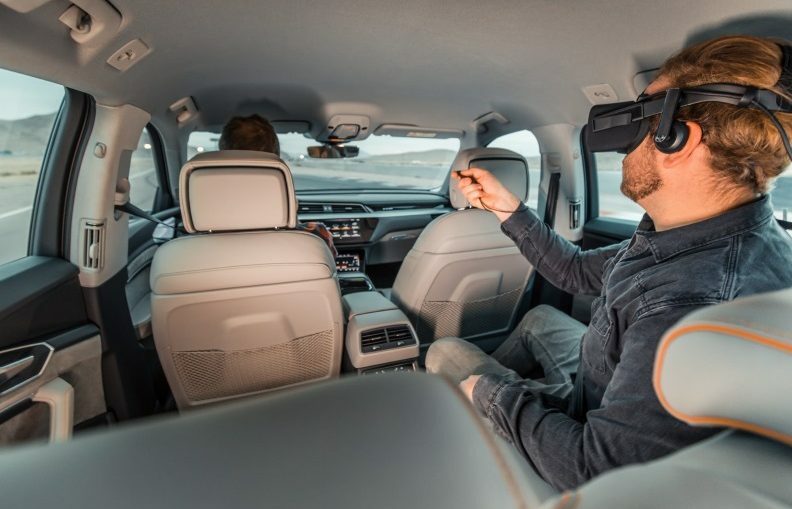 Its new in-car VR setup determines onscreen movements based on what the vehicle is doing in real life. First of all – yes – the system is intended for use by back-seat passengers only, in order to make road trips a little less boring. It was developed through the German automaker’s Audi Electronics Venture subsidiary, and is now being commercialized by spinoff company holoride. 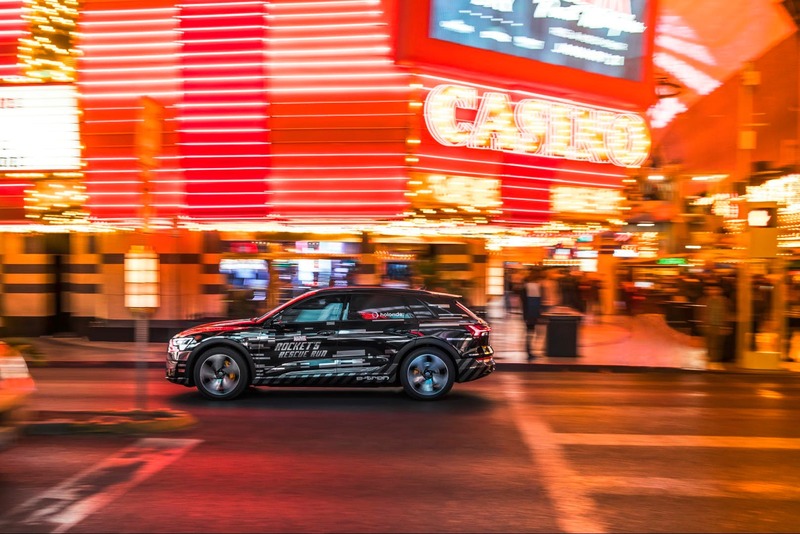 The technology is currently being demonstrated at CES 2019, in an Audi e-tron electric SUV. Passengers in the demo vehicle put on a regular set of VR goggles, then watch a VR audio-visual “experience” as they’re driven around. Called Marvel’s Avengers: Rocket’s Rescue Run, that content was developed by Disney Games and Interactive Experiences, and it simulates the experience of being aboard a spaceship as it’s steered through an asteroid field. As the e-tron brakes, accelerates or turns to either side, the Rescue Run ship does likewise – in this way, users experience actual physical sensations to go along with the visuals. The catch is, those visuals are dictated by the movements that create the sensations, and not vice-versa. holoride plans to have the technology available for open use within three years, and is offering a development kit to automakers and content producers. It is hoped that the system could be used for games, interactive movies or other applications.